New Delhi: Sia's Cheap Thrills probably holds a record of some sort for being the song with the most number of covers. After a fabulous Sanskrit version, a Rajasthani mashup and an Indian classical cover, our very own Baba Sehgal is here with a desi version of Cheap Thrills. 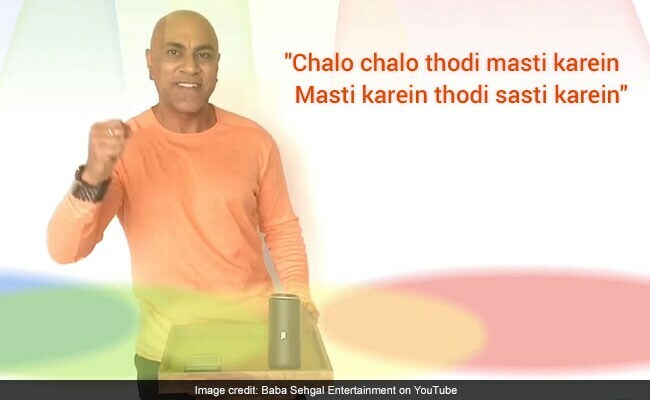 Known for his quirky couplets on Twitter ("Aaj Monday hai new, be bright be you") and his Hindi raps, Baba Sehgal's Hindi translation of the popular chartbuster doesn't disappoint. The best part? It's a live recording with no pre-recorded songs. The song, shared on YouTube on May 16, has already been viewed over 19,000 times with many hailing it as better than the original. "Omg this is so amazing," writes a commenter. Let us know what you think of Sasti Masti using the comments section below.